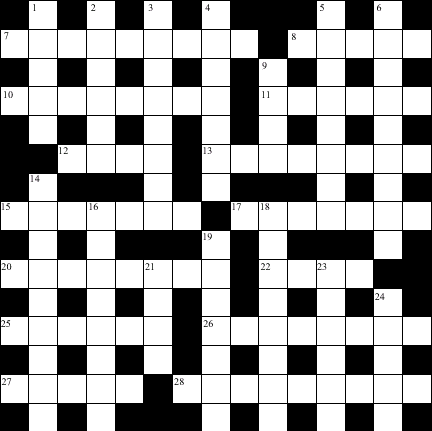 Here is a printable pdf file of this crossword, which you may find more convenient, or may wish to send to your friends. You are free to make unmodified copies of this crossword provided that you do not charge for it, and that you leave this notice intact. Send us your answers, or request for solution! I'd be happy to hear which is your favourite clue, or least favourite, and any other comments you may have. This crossword first appeared in Tamesis, the newsletter of the Thames Valley Early Music Forum.-- Andrew.